Still on the fence when it comes to SimCity’s recent expansion, Cities of Tomorrow? Maybe the game’s intro can convince you to bring out your wallet. We previously reported details on the expansion, and now it’s finally time to pony up the dough ($30) to jump into the future. A small price to pay for time travel, right? The game’s intro shows, without much exaggeration, how many of the new technologies work together. Your Academy researches new technologies while alternative power sources fuel your city. The Maglev transports Sims around the city freeing up traffic on those old-fashioned roads. Most of the advanced tech in Cities of Tomorrow are based off of projects being researched today. It’s fun to get a glimpse, albeit a fictional one, of how the tech could improve a city. What good is the future if we don’t have a futuristic disaster to ruin our day? 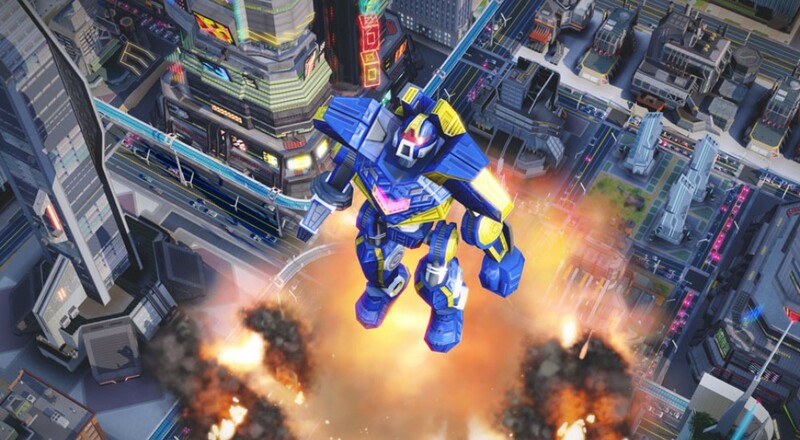 Well don’t fret, cause EA has brought in the giant robots, yes robots, to wreck your city. Hopefully your police, fire, and ambulance drones are up to the task. The Cities of Tomorrow expansion is out now on Origin for $29.99. Check out our full review of SimCity and let us know if you'll be snagging this expansion. Page created in 0.2943 seconds.